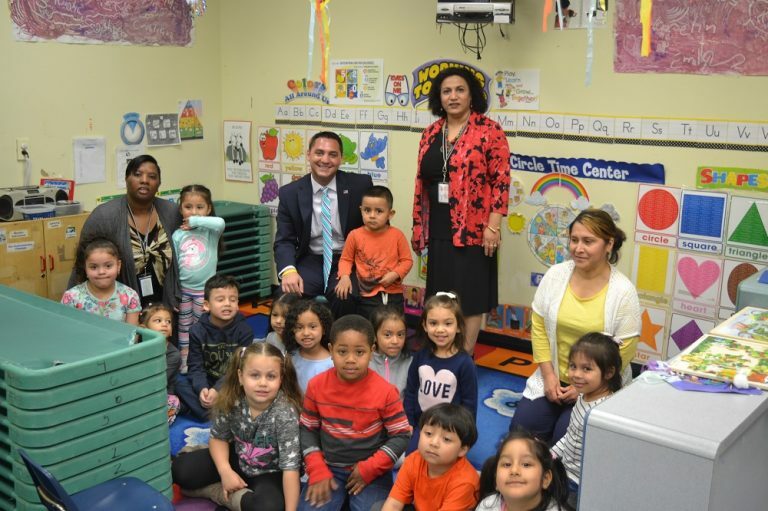 DANBURY – State Rep. Michael Ferguson (R-138) visited Action Learning Center in Danbury last week to read a book to preschoolers and encourage them to love reading. He participated in an initiative sponsored by the National Association for the Education of Young Children (NAEYC) called “Week of the Young Child,” which celebrates early learning, young children, their teachers, and their families. Action is a nationally accredited, publicly funded childcare center that educates 125 children from impoverished families in the Danbury area. Rep. Ferguson cited the Care4Kids program, which grants Action some of its funding and helps low to moderate income families pay for child care costs, as being among those designed to make sure every child can excel in school from an early age.